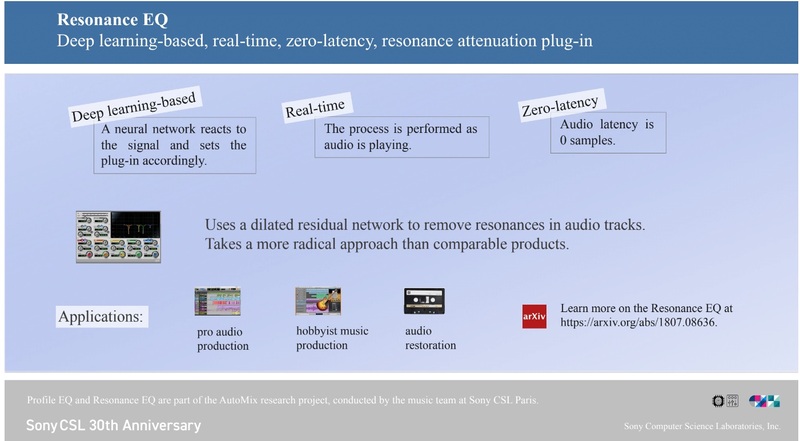 Our real-time audio processors Profile EQ and Resonance EQ were presented at the 2018 Sony CSL Open House. 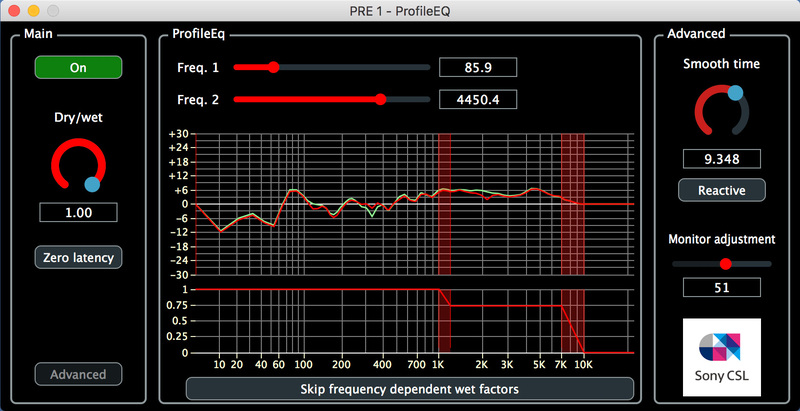 Profile EQ is a deep learning-based, real-time, zero-latency, multi-purpose, robust audio equalizer that is unique of its kind and represents a total novel in the industry. It uses a dilated residual network to provide instant spectral balance of audio signals, and has a wide range of applications: it can be used in every situation in which quick and/or automated spectrum balance is required. Deep learning-based: A neural network reacts to the signal and sets the plug-in accordingly. Real-time: The process is performed as audio is playing. Multi-purpose: Improves a variety of sources, including when original audio is poor. 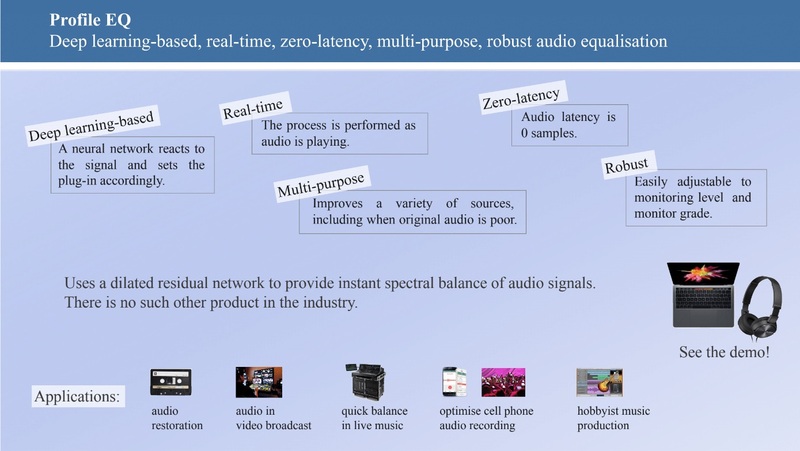 Zero-latency: Audio latency is 0 samples. Robust: Easily adjustable to monitoring level and monitor grade. It is a deep learning-based, real-time, zero-latency, resonance attenuation plug-in which uses a dilated residual network to remove resonances in audio tracks. It takes a more radical approach than comparable products in the industry. 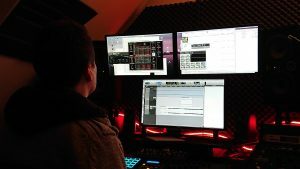 It can be applied to different situations, such as in pro and hobbyist audio production, but also in audio restoration. Authors: Emmanuel Deruty (Sony CSL), Matthias Demoucron (Sony CSL). External contractors: Maarten Grachten (Machine learning), Alexandre Tanguy (Audio applications), Cyril Laurier (Development).